NAPLES, FL-There is more good news sweeping the Naples Florida real estate market and we are not even through January yet. Mutltiple Listing System (MLS) statistics released through the Naples Area Board of Realtors show an increase in overall sales while inventory continues to decline. Lower inventories mean less homes for sale, which in turn means less choices for buyers looking for a Naples home. Many times buyers are finding their first choice in a home is gone before they can pull the trigger. Demand becomes higher as supply decreases, the basic principle behind supply and demand. Price increases are being noted in many areas. “We’ve seen property values increase about 6% in Marbella Lakes in the last year. Homeowners here are pleasantly surprised when they ask me what their homes are worth.” according to Derek Anderson of White Sands Realty in Olde Naples. There are about 1,500 fewer homes on the market than last year, including less short sales and foreclosures. This is the lowest level of available homes and condos since 2007. Inventory declined 17 percent by the end of 2011 with 7,581 available properties for sale compared to 9,145 available properties for sale in 2010. The largest increase in closed and pending sales was the luxury home market which includes properties of $1 million and higher. “We’ve seen increased luxury home sales in Port Royal over last year. A few more Port Royal homes sold in 2011 than 2010, which indicates even the wealthiest home buyers are confident in the market conditions,” said Ryan Ehmen of White Sands Realty. Single family pending sales increased 5 percent with 5,162 contracts in 2011 compared to 4,896 contracts in 2010. Condo pending sales increased 11 percent with 4,908 contracts in 2010 compared to 4,422 contracts in 2010. 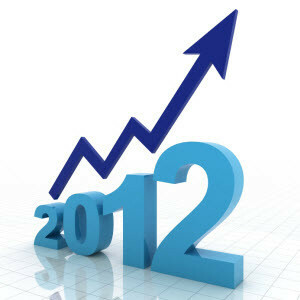 The overall median closed price over $300,000 increased 2 percent to $550,000 in 2011 from $540,000 in 2010. The 2011 fourth quarter report showed overall pending sales for the 12 months ending December 2011 increased 8 percent to 10,071contracts compared to 9,319 contracts for the same 12 months of 2010. Overall closed sales in the $1 million to $2 million category increased 38 percent with 76 sales in the fourth quarter of 2011 compared to 55 sales in the fourth quarter of 2010. Single-family home sales in the $500,000 to $1 million price range increased 13 percent with 90 sales in the fourth quarter of 2011 compared to 80 sales in the fourth quarter of 2010. Condo sales declined 2 percent to 793 sales in the fourth quarter of 2011 compared to 808 sales in the same quarter of 2010. For specific market segments including a market snapshot of your community or neighborhood in Naples, please contact the author or call 239-417-1115. 2012 already looks like things are improving in our local real estae. We missed out on 3 homes where we were outbid in the last month!